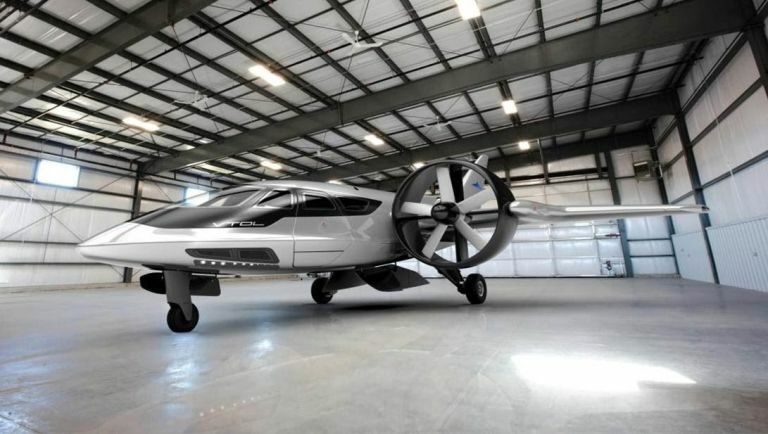 Private aircraft manufacturer XTI Aircraft is looking for investments in its new futuristic flying concept - the TriFan 600. According to the company, over $20 million of 'interest' has been expressed in the craft, which combines the luxury of a private jet with the takeoff/landing capabilities of a helicopter. The six-seat fixed wingspan craft has been in development for a couple of years now, and following the firm's recent registration with the US Securities and Exchange Commission (SEC), it's now offering a strict 30 day window in which you can purchase stocks in the TriFan 600. So basically it's a crowdsourcing campaign with shares, a bit like what new startup Fig offers. "This is a limited-time opportunity to join all of us on the XTI leadership team as shareholders," says XTI's Executive Vice Chairman Jeff Pino. "We're on track to make this aircraft a reality. We understand the risks, but we also know that the potential return is very strong. We couldn't be more excited." With conceptual engineering for the craft now complete, XTI Aircraft is hoping to get the craft off the ground as soon as possible. If it proves successful, the TriFan 600 would become the world's first commercially viable, high-speed vertical take-off and landing craft (VTOL). The campaign is now open for business.